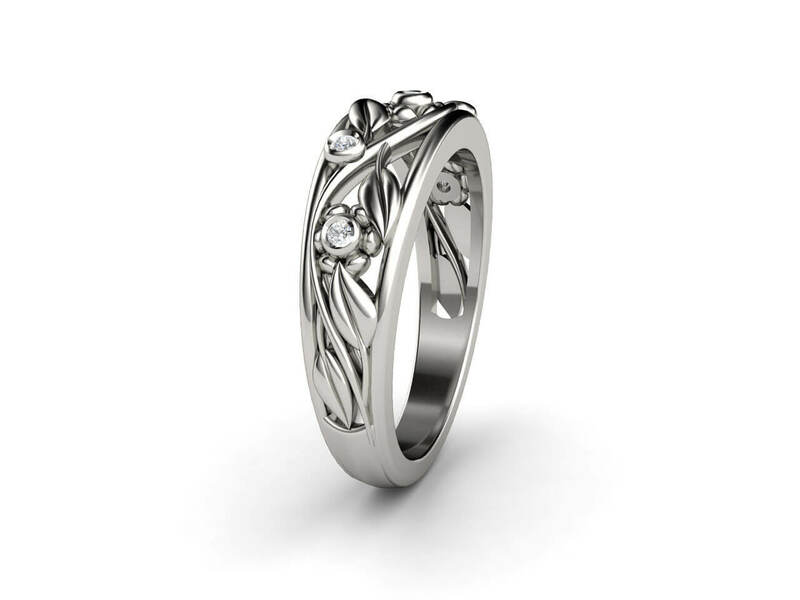 Beautiful flower design diamond ring. 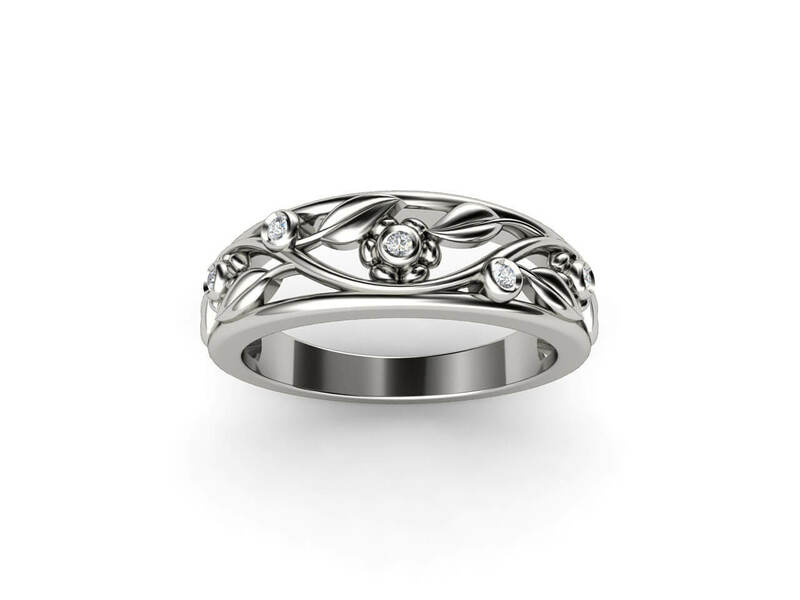 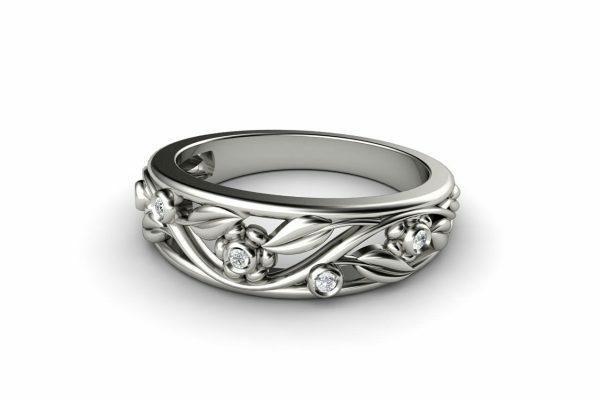 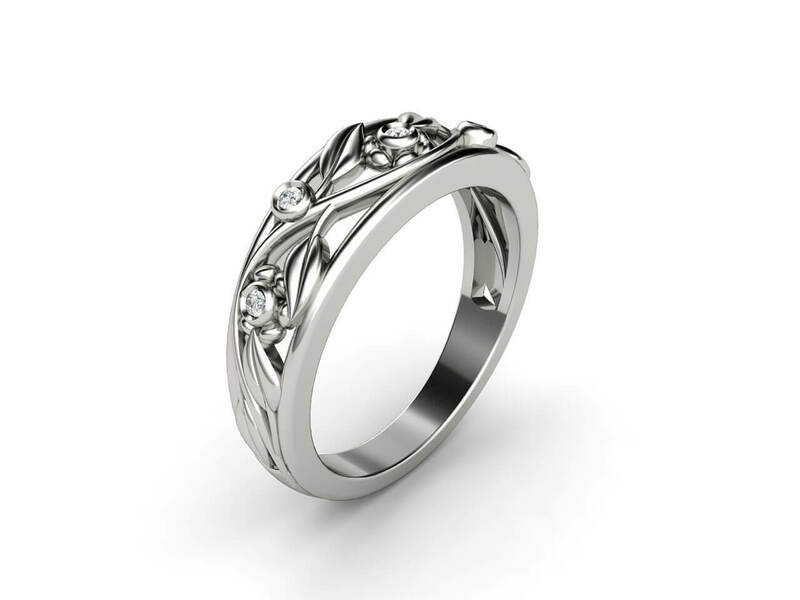 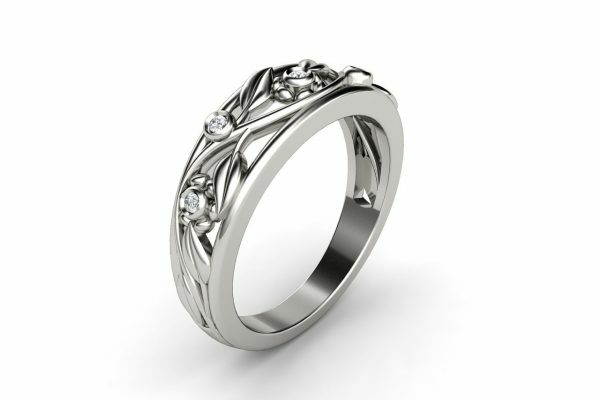 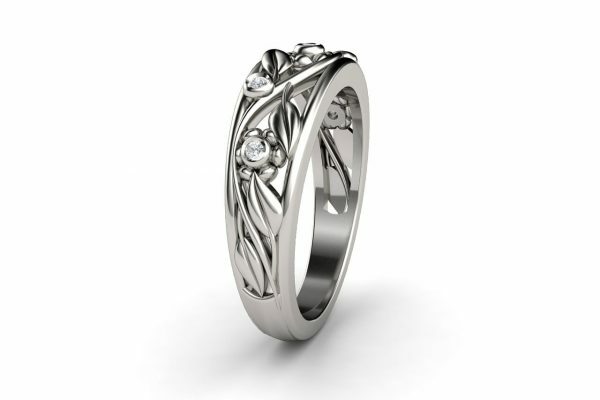 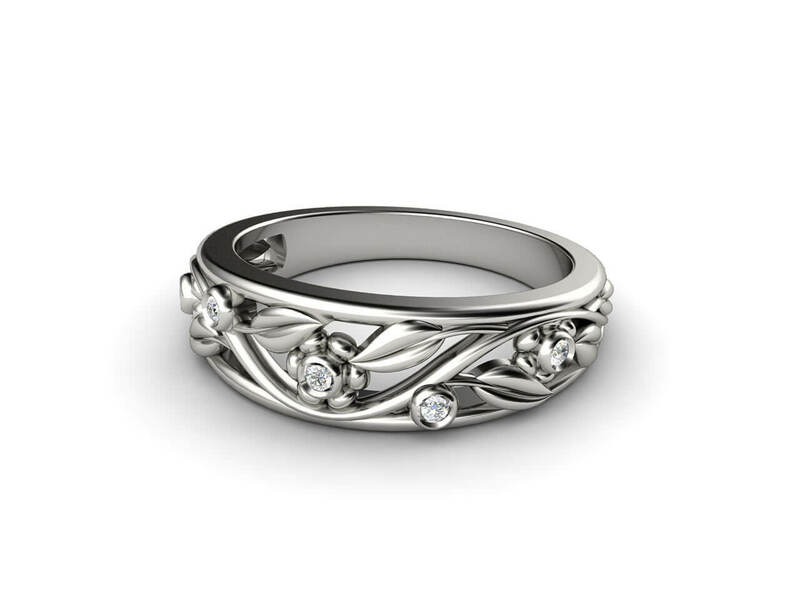 White gold vines, round diamonds and flowery design. 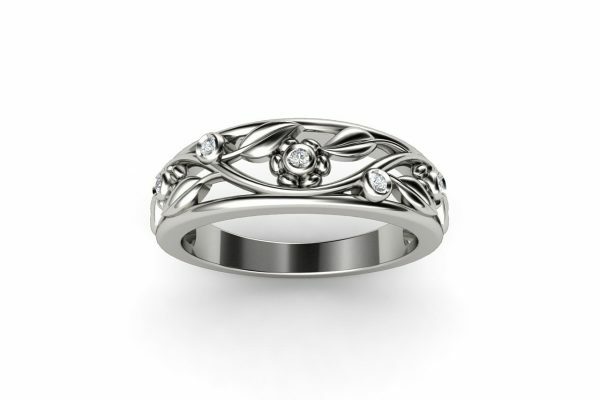 Bright diamonds shine through the filigree metal work. 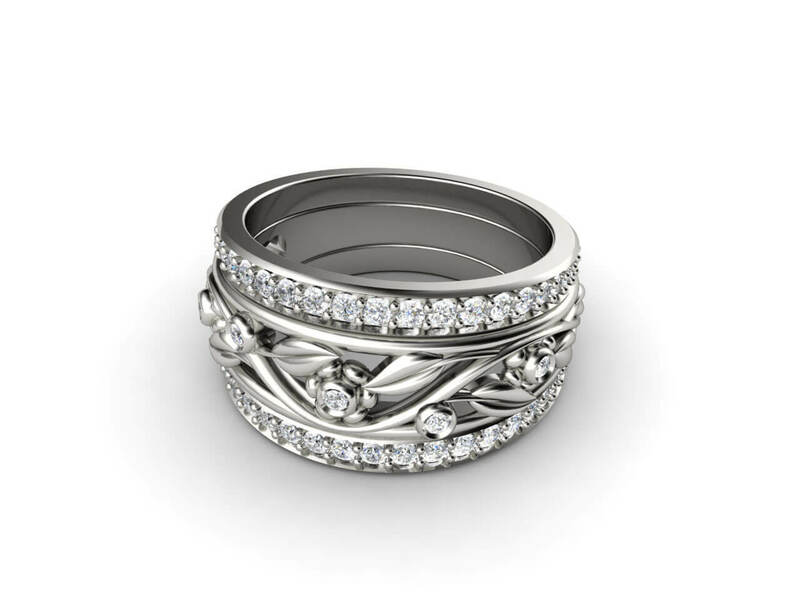 This wide style ring is gorgeous on its own or stacked with side diamond bands.